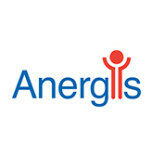 Anergis is a clinical-stage biopharmaceutical company founded in 2001 by Professor François Spertini (CHUV). In 2005, Anergis acquired the initial patents filed jointly by UNIL/EPFL and CHUV covering the technology of Contiguous Overlapping Peptides (“COPs”). COP immunotherapeutics are sets of carefully selected long peptides reproducing the complete amino acid sequence of one or more natural allergen(s). Unlike the allergen extracts currently marketed for allergy desensitization, COPs are controlled GMP grade pharmaceutical products. By design, COPs are safer than allergens and can be administered at high doses without risk of severe allergic reaction (anaphylaxis). Anergis has already demonstrated in clinical phase II trials that a single 2 month treatment course can be sufficient to provide multiple years of immunological memory and allergy symptom relief to patients with moderate to severe birch pollen allergy. Anergis is privately-held and raised CHF 45 million to date from leading European venture capital funds, family offices and private investors. These funds were primarily used to advance Anergis’ lead product AllerT, for the treatment of patients with birch pollen allergy, to clinical phase II and to discover and develop two additional product candidates which are currently in preclinical development: AllerR for patients with allergy to ragweed pollen and AllerDM for patients with allergy to house dust mites.